As anyone who has ever been in financial trouble can tell you, stressing about money is never a comfortable way of living. No matter who you are, life can throw some costly and unexpected surprises your way that can wreak havoc on your bank account in no time. However, there are certain strategies you can employ as preventative measures. Worrying does little to solve the problem, but proactivity can help you transcend your situation. While the relationship between money and happiness is often convoluted and fickle, generally worrying less about money means more enjoyment out of life. Below, we will explore various aspects of personal finance that can help point you in the right direction. The idea that the only way you can elevate yourself financially is by increasing income is patently false in most cases. There are people that generate tons of wealth only to squander it all due to poor habits. At the same time, there are people that have a relatively modest income that are able to plan enough to live comfortably and save. Start thinking about ways you can spend wisely. You would be surprised how many people fail to so much as rethink their current spending habits. There are ways around many of the expenses that you deem “necessities”. For example, if your morning cup of coffee is non-negotiable, it makes far more sense in the long run to be making this coffee yourself. Otherwise, a $4 cup every morning turns into $120 down the drain every month. Small recurring expenses may not seem like much, but you need to remember that they add up. Likewise, many people spend a minimum of $30 a month for a gym membership, with a subsection of those people who don’t even use it at all. Whether you are a full-fledged gym rat or a more casual variety, consider buying your own exercise equipment and putting it in your house. Think of the initial cost as an investment. Understand what you can and cannot tolerate financially. If you find that you are shelling out a massive chunk of your paycheck every month on rent, consider looking for a different job or a different place to live. Living in a luxurious condo might seem like the classy move, but you aren’t doing yourself any favors if it renders you broke and stressed out. Share your goals with your family and friends, who will keep you grounded in reality. The input and advice you get from loved ones is an invaluable resource that can keep you going in the right direction. The sooner you can relieve the pressure of owing other people money the better. 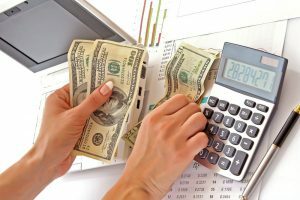 For this reason, it might be a good idea to take on the largest monthly payments you can tolerate, as these payment plans generally offer the best interest rates. This means less of your money is wasted in the end. Create a plan to prioritize payments. 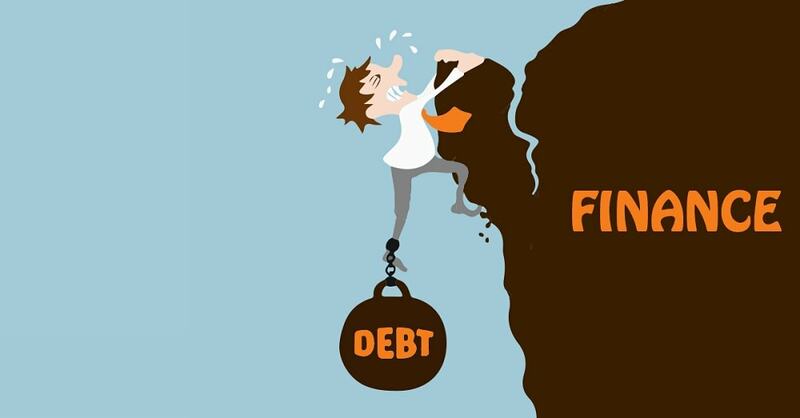 Decide whether you want to pay off the largest or smallest debts first. Some people opt to simply get rid of the smaller, more short term commitments first since it simplifies the picture quickly. In terms of immediate needs, check cashing might be of great use to you. Whether it’s a payday loan, title loan, or a medical emergency, check cashing could be the way to go. Credit card debts are generally commitments you should prioritize since the interest rates can potentially spell your financial demise. Generally, rates are around 20% or more, meaning dramatically less money in your pocket if you fail to make payment on time. Also, only paying the minimum amount every month sets you up for compounding debt down the road, so it may be best to pay off the entire amount whenever you can. Over time, making timely payments will improve your credit score. As this score improves, it will open up different options to you as far as paying off loans. You can explore different consolidation options to see if something works even better than what you already have. You may also want to check for errors in your credit report, as this happens more often than you may think. This can hinder your financial freedom tremendously all because the credit card company made a mistake. In fact, you can even be disqualified from job opportunities if the error in the credit history is in the right spot. These errors can go unnoticed indefinitely, so it makes sense to do some double-checking. Job security is scarcely guaranteed, especially today. Make sure to be generating a reliable source of revenue and minimize times of an absence of revenue at all costs. Everyone enters stressful periods where cash flow is reduced or disappears, but do everything you can to get a stream of income back into your life. Finding alternative or supplementary streams of income will increase your stability over the long term. Consider offering your services to ride-sharing services, which is now possible to do even if you don’t have a car.